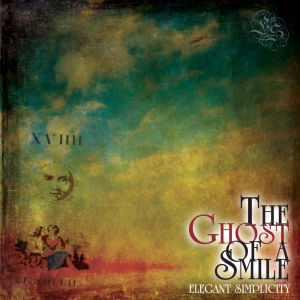 This album took longer to make than anticipated on account of abandoning the original demos / recordings and starting from scratch with all new musicians: a change is as good as a rest . . apparently! 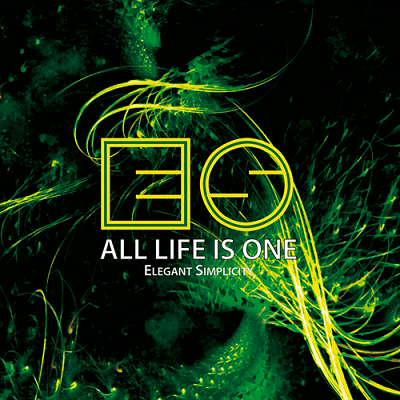 All Life is One is a relatively short album (by our standards), though it originally kicked in at over an hour. However, I pruned it right back of the stuff that didn’t sit with the overall vibe and ended up with a much more cohesive and structured release. The other tracks will be released as B-Sides, so you will get to hear them at some point. This album is a huge departure in many ways for us: first, it does not feature either Ken or Christopher (though they did perform on the original demo tracks)! It does feature, however, a whole host of great talent: from the sax playing of Nathan to the stunning violin of William to the rock steady drumming of Nathanael and the melodic bass of Jair-Rohm Parker Wells. I truly believe this release to be amongst the best of our catalogue. As usual, the songs are diverse and involving but still retaining their trademark melodic sound. There is also much harder guitar than seen of late and the sax and violin solos make for a much more dynamic and involving listen. 1. Master of Shadows. An energetic (and long) instrumental opener featuring lots of twists and turns. A great sax solo and a killer guitar break at the end. Not to mention the smooth Moog melody and the generally organ-tastic vibe! 2. Falling to the Ground. A song, based on a true story, about a guy who believed he was alone and friendless in the world. So distraught by this, he eventually killed himself by jumping off a tall building. The irony, of course, was that at his funeral he was surrounded by his friends and loved ones. Not a cheerful song by any stretch, but it features a sublime violin solo from William and a nifty bit of axe work from myself in the final coda! The original version (discounting Ken’s demo) featured a female vocalist but it just didn’t sit right with the full on band production. However, the vocals were used on an alternative version of the song – a prog rock bossa nova, no less! – that is simply drop dead gorgeous. Look out for it as a B-Side on a single. 3. All Life is One. A lengthy instrumental piece with lots going on. William’s violin introduction is gorgeous. And it’s also got some great sax work from Nathan. 4. Love is Transferred. A mid tempo rock song with a quirky chorus about the confusion of love: yes, the dreaded four letter word itself! Lovely guitar melody and the end section featuring Native American Flutes (played by Allen Bruce Ray) is simply beautiful. 5. Tin Rattler. This powerful instrumental piece is about charity or, as I like to call it, tin rattling! There is a very serious message behind the piece, though, which would take forever to explain. Regardless, the song features my first ever excursion into playing guitar with a wah-wah pedal. On top of that, there is a fabulous violin solo and a groovy Moog coda. The perfect finish! Art direction and design by Steven McCabe with special thanks to morguefile for some of the photographic imagery used.